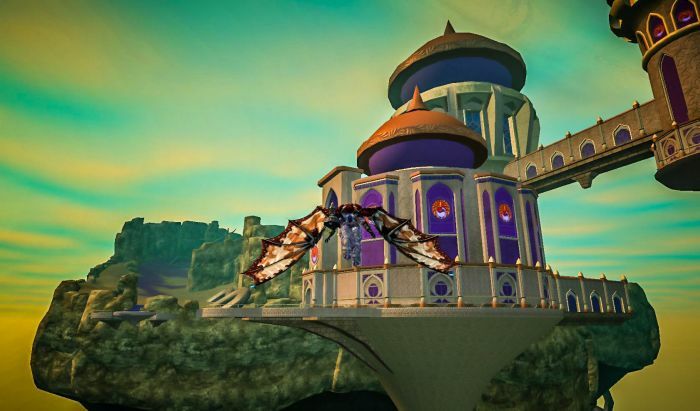 Adventures from 85 to 90 in Kael #EQ2 #EverQuest2 – Nomadic Gamers, eh! (Side note, the screenshot has nothing to do with Kael, it’s Kingdom of Sky, one of my other favorite expansions). In a rare moment last night, everyone in guild was logged in (almost, we were missing one). Armed with our newly created level 85s we headed to Kael to get a little experience before one (or all) of us would have to log for the night. It wasn’t exactly an evening of astounding gameplay, but it was quiet, fun, and productive. Ibeogur has been leveling up a wizard and managed to level from 85 to 88 in our two hours of playing together. Ultann has a new templar who also dinged 88, and Zerrek (a new player all together) inched his way to 89 with his defiler. I decided to play my beastlord, a character I created on my second account, and she is now resting comfortably mid-way into level 91. I’ve been having fun playing the beastlord, although it does take some time to get used to. The level 85 heroic characters start with a grandmaster bear pet, I’ve been leveling up a wolf. There’s a lot to keep track of with special hotbars all over the place just for this class, but I think I’ve managed to get the hang of it now. I’m looking forward to having a second 95 on my second account, after that I’ll have to decide who to level next, either the paladin or the coercer I created on the account. I’m going to (try) to limit the account to four characters in case I should ever drop from gold, we’ll see how that goes.